I don't believe Kevin has ever gotten it running, no. Thanks, yes I'm planning on being at Kearney at least for one day. Do you know if Kevin's is road worthy? The metallic purple one from New York that just sold looked cool but the interior photos looked a little crude. Did you know anything about that one? There are three in KS, five in MO, one in OK, two in IA, and two in NE. AFAIK only three of those thirteen are roadworthy. Closest to you I think is Kevin Golden #502 in Harrisonville. He's a busy guy but probably would show you if you can find a time. I'm always happy to show off my project. You should definitely make plans to visit the national Rally in Kearney NW in Sept. Thanks for the note, I live northe east of Wellsville KS just off I35. I would love to have an onsite look at your project at some point. Are there any other UV's in Kansas? 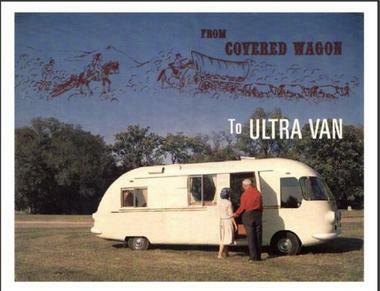 I have just sold my 32 foot 1989 Airstream Excella 1000 restoration and am looking for an Ultra Van. I am not looking for much of a restore project but one that is usable and drive able now. I am looking for one as close to original as possible. My Airstream renovation was 100% authentic but I don't wan't to do another two year project. Please contact me at my member email address if you have something interesting. I live in eastern Kansas and plan on attending the get together in Kearney Nebraska this September. Thanks and nice to meet you all.